Poisoning in cats can be caused by everyday items you may have in your house, and more than likely items you will have during the festive period. Below we will cover what is poisonous to our feline family members and what to do if you think your cat has been poisoned. Why are cats affected more than other species by specific substances? They keep themselves very clean – during grooming they may ingest toxic substances. They have different ways of detoxifying chemicals than dogs – cats sometimes lack specific mechanisms to safely eliminate the substance from the body. Outdoor access – if a cat has access to outside, they are more than likely to come into contact with harmful chemicals such as antifreeze in puddles or eating unknown toxins/foods from bins etc. They are small – meaning only a tiny dose of some toxins can be fatal. These behavioural and biological differences from other species may mean cats are less likely to recover from a poisoning than a dog. So what foods and drinks should be avoided? 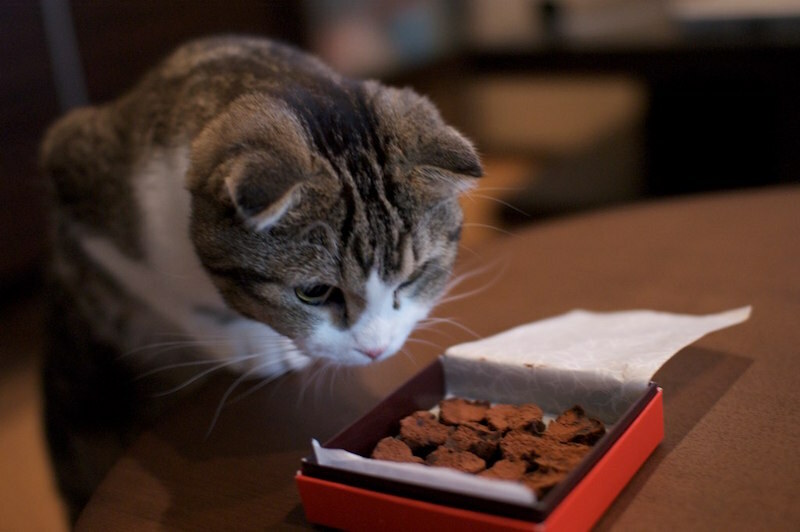 Chocolate, especially dark and milk chocolate, can be toxic to cats. Theobromine is found in chocolate and is toxic to most animals, but there is limited information on the toxic dose of chocolate in cats. The alcohol in beers, wines and spirits is ethanol, and ethanol is also found in surgical spirit and alcohol hand gel. Leeks, garlic, onion, spring onions and chives (allium group). These are present in many foods including soups, baby foods, seasonings, stock cubes, sauces and marinades, chutneys, pickles, ready-made meals and many spicy products. Cooking of these plants does not reduce toxicity. This can result in anaemia in the cat and effects can occur from a single large dose or smaller repeated dosing. 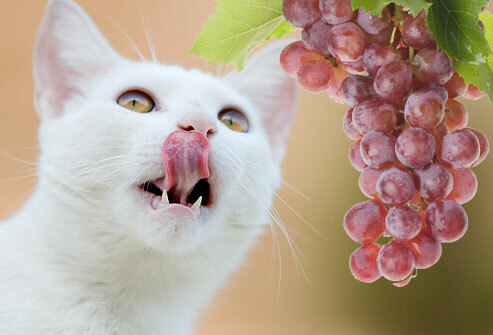 Grapes and their dried fruits; Although renal failure from grapes and their dried fruits (sultanas, raisins and currants) is well recognised in dogs, there are also anecdotal cases of poisoning in cats. 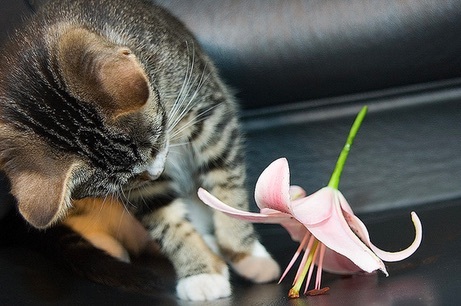 What are the most common substances toxic to cats? 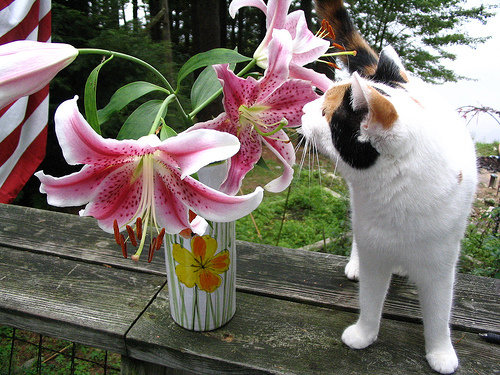 We can see that the ingestion of lilies is the most common cause of poisoning. Flea and worming products when used inappropriately can cause severe illness and even death in cats, so it is important to only use products recommended by a vet, and to the correct dose. It is very dangerous to use dog flea treatment on cats (especially products containing permethrin) and if this is accidentally done, even in small doses, it is best to get advice from your vet. 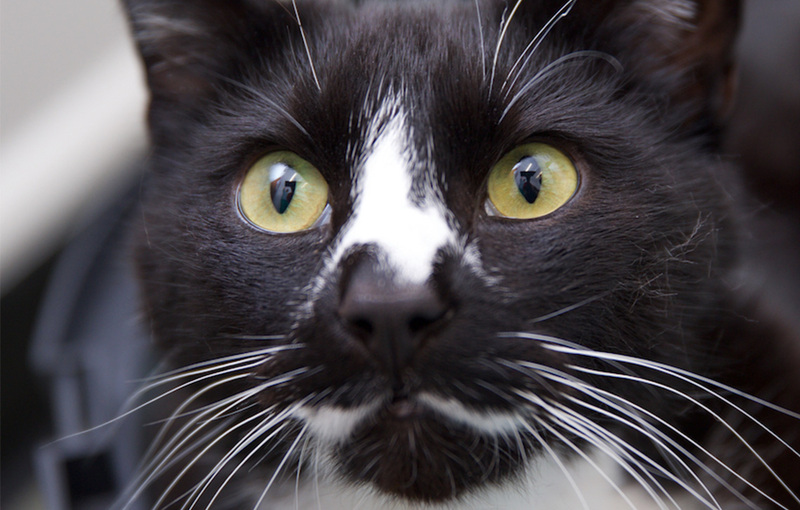 What signs might indicate my cat has been poisoned? Signs and symptoms may vary. Many toxins produce gastrointestinal signs (vomiting and diarrhoea), others produce neurological signs (tremors, in-coordination, seizures, excitability, depression, or coma), respiratory signs (coughing, sneezing, difficulty breathing), skin signs (inflammation, swelling), liver failure (jaundice, vomiting) or kidney failure (increased drinking, in-appetence and weight loss). 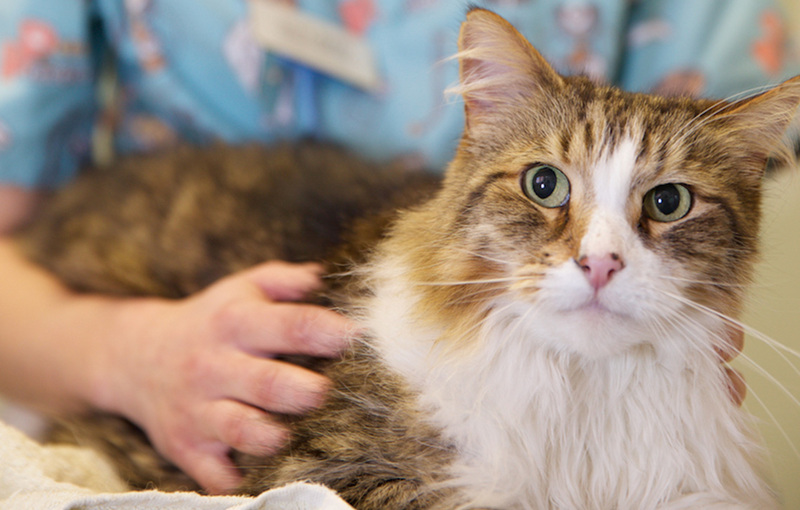 Cats may show one or more of these signs and it is important to get advice from your vet as soon as you can after the toxin is ingested or you notice any of the above clinical signs if poisoning is a possibility. 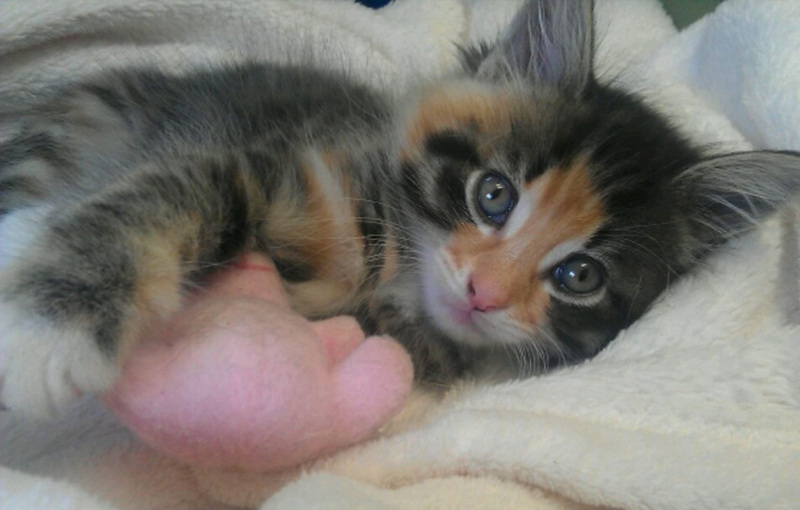 The quicker a cat is treated the more likely it is to be successful.